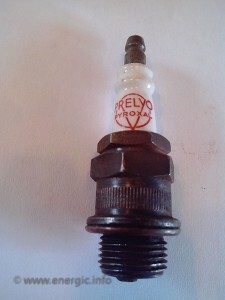 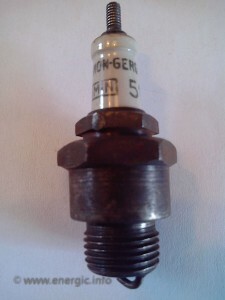 Numerous types and manufacturers of Spark plugs where used in the early Energic motoculteurs. 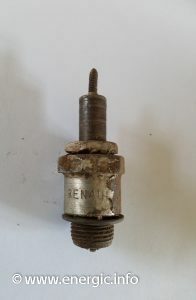 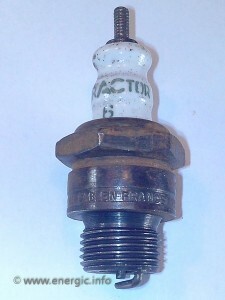 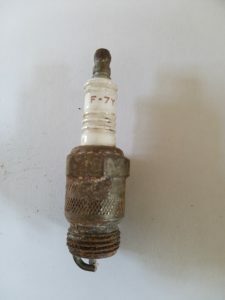 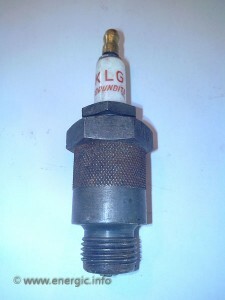 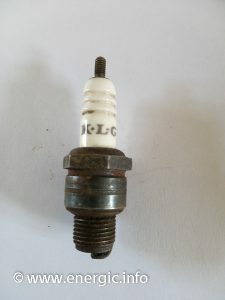 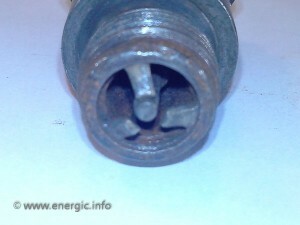 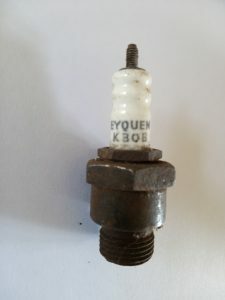 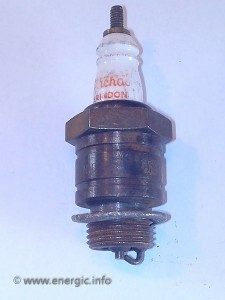 The earlier Energic models B5, C7, B4L and C7 up to and including the 408 models used a narrower diameter spark plug. 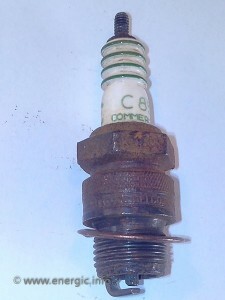 Below are a selection of spark plugs taken out of these Energic motoculteurs, some with double and even triple electrodes. 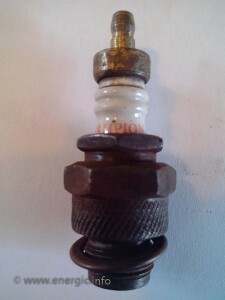 Most still work after a good clean, de rusting and gap adjustment. 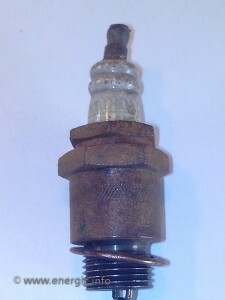 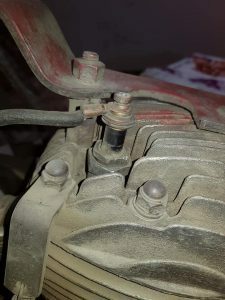 Energic motoculteur with old spark plug and leads in situation.